David Ogilvy has been hailed as the father of advertising. 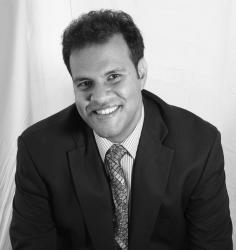 He’s viewed as a legend and a hero in the world of direct response marketing. And as the quote above implies, one of the reasons for his profound level of success was because of his commitment to testing. Ogilvy’s business heyday was in the 1950s and 60s, and he died in 1999. So he never had access to the kinds of A/B testing tools you and I can and should leverage to improve every part of our online marketing. But something tells me he would have LOVED to be able to use the testing technology we so often neglect or take for granted. Testing was important in Ogilvy’s day, and it’s important now. As online marketers, you and I face stiff competition, and one of the biggest challenges we must confront is the public’s dwindling attention span. If we want to enjoy maximum success in our online, and offline, marketing programs, we need to always be on the lookout for ways to gain potential buyers’ attention and interest; we want to constantly be improving our approach. A/B testing is a powerful tool that can help us with this. Remember that no element in your online marketing is any more important than your landing pages. The same A/B testing rules applies here: you need to test your landing pages if you want to enjoy the highest conversion rate possible. Testimonials are a rarely-used element in copywriting and content marketing, including on landing pages.. This is too bad, as I’ll explain in a moment. We humans are emotional beings, but we also have logical aspects to our character and psychological makeup. This duality affects our decisions, including our buying decisions. Remember that to one degree or another, people make buying decisions emotionally and then attempt to justify these decisions rationally, through logic. Testimonials can be powerful credibility boosters that offer “proof” at the landing page conversion critical moment when you are trying to “state your case” and get your reader to make a buying decision. He’s probably a bit nervous, because he understands he’s being asked to open up his wallet and give you money. If he sees a landing page testimonial showing how happy another one of your customers is, he’s more likely to be convinced himself. With testimonials, as well as every other part of your landing page such as your copywriting and design, there are a lot of variables you can test and optimize. For example, you can take a longer version of the testimonial your client gave you and include a portion of it on your landing page. You could add certain parts of the longer testimonial while leaving others out. You could include multiple testimonials. You could change the supporting copy that “sets up” the testimonial. As with every other component of your online marketing, TEST! Formulate a hypothesis, for example “I believe showing one landing page testimonial instead of two will increase my conversion rate”. Next, test your hypothesis; using A/B testing, feature one testimonial on the “test” page and two on the “control” page, and see what happens. Remember this: test one item at a time. Observe the result. If the result is what you want, keep the change. If it causes your conversion rate to go down on the test page, discard it. Test another item, and so on. Of all the landing page elements that can be tested, testimonials are perhaps the one online marketers think about testing the least, if they even include testimonials on their landing pages at all. But testing and optimizing testimonials can often lead to big conversion rate improvements. Let’s talk about “real world” A/B testing successes one company enjoyed by testing and optimizing their homepage customer testimonials. Even though this success story is about homepages, it’s directly applicable to landing pages. As this article mentions, Buildium produces and markets rental property management software. The company was tired of having its software labeled as only being feasible for small property management situations; they were seeking to market it to property management companies of all sizes. They wisely used the power of A/B testing, they made changes based on the test results, and as you will see in a moment, they were successful in expanding their market to include more medium and large companies. They tried a couple of different approaches that both included homepage testimonials. The one that worked most successfully included a compelling headline and credibility-boosting sub-headline in the testimonial area of the homepage. It featured three separate testimonials from three different clients that managed properties ranging from small to medium to large. Under each of the three names of the testimonial givers, a unit count was shown – 110 units, 573 units and 1,750 units. The new testimonials presentation that won the A/B test attempted to demonstrate that Buildium could handle medium and large property management situations. Clearly, more homepage readers were convinced by the social proof of these testimonials in conjunction with the supporting copy: conversions rose by 22%! Even though this example shows online marketing success as a result of A/B testing on a homepage, the same principles can work on your landing pages. Testing your landing page can yield some very desirable results for you. Even if it’s performing well, it can perform better over time if you will test, observe the improvements you notice and make changes accordingly. 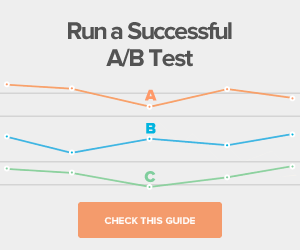 Don’t Fear The A/B Test! 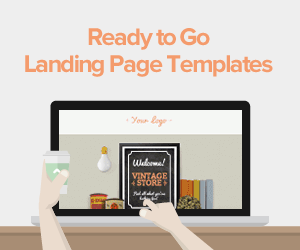 So what’s the ultimate goal of a landing page? It’s simple – to convert. 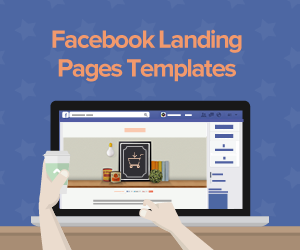 You need your landing pages to help you convert page visitors into buyers. A/B testing can help you improve your landing pages and enjoy greater and greater results. But a lot of online marketers never run A/B tests. Why? Many fear testing will be complicated and time-consuming. Maybe so with some landing page programs, but not Lander. We make A/B testing a breeze. And if you have any questions about anything, we’re here for you. 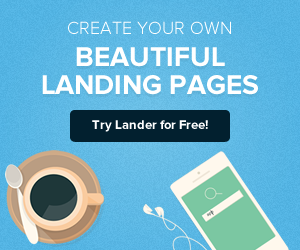 Not only is A/B testing easy with Lander, our landing page templates are a snap to set up and maintain. With Lander, you won’t be stuck trying to do things “the old fashioned way”. And here’s something else you’ll find easy about doing business with Lander: you can try any of our award-winning, state-of-the-art templates free for up to 30 days, no credit card required to register. So what are you waiting for? Try Lander today!